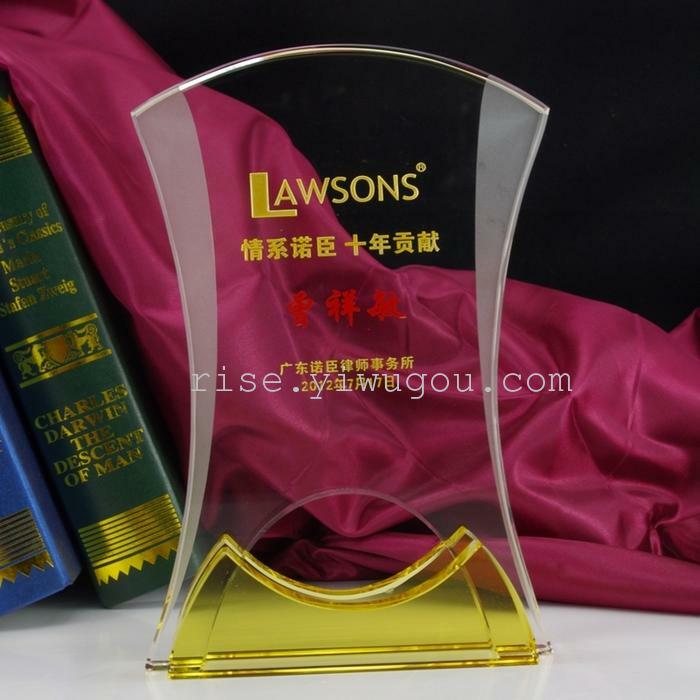 Glass being a colorless transparent Crystal engraved text pattern, stripes trophy flanked by scrub the bottom Crystal base, products with Brocade box. This product uses the K9, unique novelty, perfect combination of body and the base, this can be used to encourage outstanding employees, text can be added according to the customer's requirements, trophy dimensions can also request to customize to meet the needs of different customers. Main Products: Purchasing of imported goods, crystal crafts, daily general merchandise, etc.